Fits my large body Takamine EN20C like a glove. Sturdily build, solid & easy to release clasps, and well balanced feel to the handle while carrying. The inner storage chamber could be larger but that?s not a deal breaker. Having read the reviews, I was wary that the case would smell. And it does. However, it?s only a mild smell and it isn?t unpleasant. The store clerk says it is typical of all new cases and will go away. He said I can put an odour absorbing pack in it (from Mark?s Workwear) but I don?t think I?ll bother. Fits like a glove. Does have that smell though. For the price you really can not be unhappy. A gig bag was even more expensive and I only wanted one I could actually Humidify the guitar in. I dont think the case would hold up under rigorous travel conditions like a "Tric" case... but light use is great. 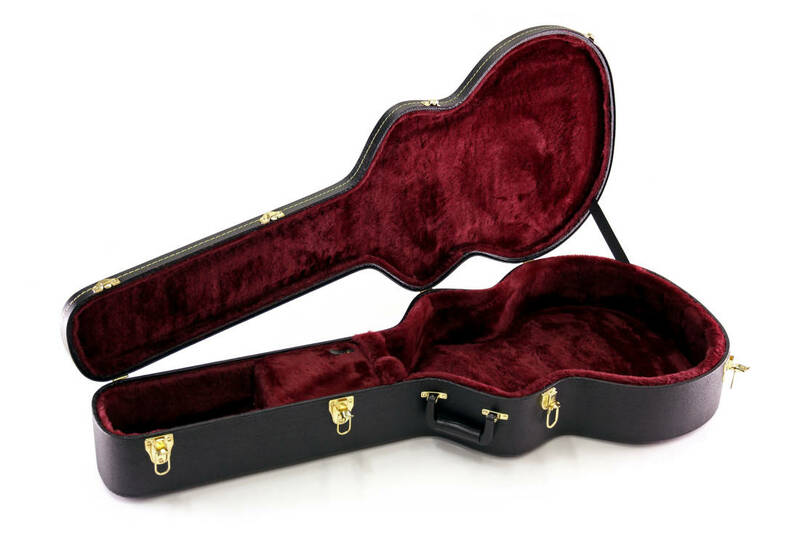 I just bought a 12 string Jumbo and will buy this case for it as well. My Jumbo Acoustic fits perfectly in this case. It is snug and well braced. Yes... there is a slight chemical smell... but then nearly all hardshell cases do. Its not overly sturdy or crash resistant like the TRIC cases from Godin but for 1/2 the price it does what you need. I like the hard cases for humidifying.. gig bags just absorb too much of the moisture (breath to much). This case is strong, functional and the overall construction is 10 outta 10. Aesthetically it's beautiful. I have no complaint in regards to the service it provides, however it's a real stinker, in that... it stinks. I can say with confidence I have never had a stinkier case. When I opened it for the first time...Ka-Wow!!! it was an all out assault on my sense of smell, it was like someone punched me in the nose with a stinky fist. Ok, when I opened the case my dog looked at it, then looked at me, then ran outta the room... yes he actually ran! My wife came in to the room and asked if I filled my pants, I said NO it's the case, the case stinks. (she didn't believe me) I tried to let it air out for days on end but to no avail. Listen, there's no nice way to say it...it STINKS!!! 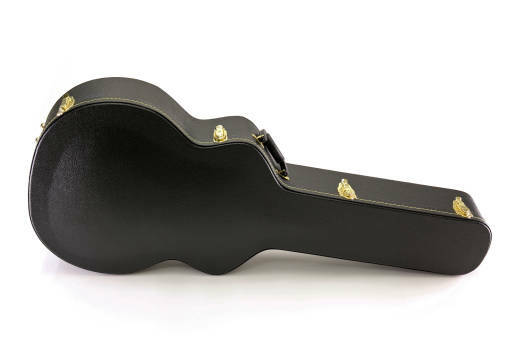 I really like this case, even though my guitar is a cut away.My EW20LASE-NT1202, doesn't completely fit , ( it fits loosely ) and the case has an odor, We call it the new smell odor. But when I close the led, the padded led makes my guitar , stay put.